Ironically, the recently displayed draft electoral rolls have shocked the nation by missing out at least 30 million voters instead of showing an overall increase in the number. 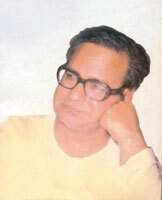 Waris Mir was an intellectually gifted journalist. He wrote beautiful Urdu with strong logical arguments. He spoke from within the Islamic tradition, which was very difficult for the traditionalists to swallow. So the authorities are determined to restore the water system of the Shalamaar Bagh to its original efficiency! As far as I can remember, there used to be another part of the garden across the road from the front gate, it was always locked and we were told that that building contained the waterworks for the garden, engineered by Ali Mardan Khan the designer. Lal Masjid did turn out to be a house of cards after all. The clerics of Lal Masjid had been declaring they would wage a long drawn out battle if the state tried to touch them. They had also given statements of having suicide bombers amongst the male and female students -- all set to lay down their lives for 'Nifaz-e- Shariat' or promulgation of Islamic law in the country. The grand receptions accorded to Chief Justice Iftikhar Chaudhry by the bars countrywide are embarrassing for President Gen Pervez Mushararf's government. It has earned him disrepute and worked as a nucleus for those who hate him and the military's political role -- perhaps the hardest challenge the regime has had to face in the last eight years. The more important question is: what will become of this protest movement? When the government, on the night of July 3, formally announced an operation to flush the Lal Masjid-Jamia Hafsa complex of militants and an amnesty for anyone who would lay down his/her arms and leave the complex, there was already a growing chorus of cynics who said that the timing of the whole operation meant that this was more a case of politics than anything else. Their argument -- I for one heard Imran Khan say this on one of private TV channel -- was that the operation came the day after the government suffered a severe setback in the case before the full court bench of the Supreme Court hearing petitions related to the presidential reference filed against the Chief Justice of Pakistan. The very foundations of free and fair election lie on error-free electoral rolls, which are supposed to ensure right to adult franchise to every eligible citizen of the country. Statistically speaking, the number of voters should have increased to over 82 million by now given a 2.8 per cent increase in the population, but the provisional lists show only around 52 million voters. Moreover, the All Pakistan Minorities Alliance claims that 20 per cent of their voters do not figure in the electoral rolls while female voters have decreased by 96 per cent in Fata, 41 per cent in Sindh, 37 per cent in Punjab and 19 per cent in Islamabad. In the NWFP, female voters have decreased by 45 per cent from 3.92m in 2002 to 2.17 million in 2007, according to a study by the Pakistan Institute of Legislative Development and Transparency. Though the PPP and the PML-N have taken the matter to the Supreme Court, no date for hearing of the case has been fixed yet. Under Article 220 of the Constitution, the top constitutional body can ask for any information for fulfillment of its tasks. The Article 220 states: "It shall be the duty of all executive authorities in the Federation and in the Provinces to assist the Commissioner and the Election Commission in the discharge of his or their functions." Since mid-2006, the Nadra has been outrightly refusing to share its database with the Election Commission of Pakistan (ECP) for no good reason. TNS has obtained the copies of scores of letters and correspondence between the Election Commission and Nadra eversince whereby the subordinate body of interior ministry led by a retired brigadier has been repeatedly asked to comply with its obligation by providing the requested information. A law ministry spokesman told TNS that the ECP has every constitutional power to seek assistance from any government institution for ensuring free and fair elections and the preparation of error-free electoral rolls is its very cornerstone. "We cannot share the database electronically with anyone, but they are most welcome to buy the hard copies of the details from us," he said. Saleem Moeen also told a meeting of the National Assembly Standing Committee on Interior that Nadra "cannot share its database in electronic forms with anyone". Analysts believe that the excuse is tailor-made to deal with the Election Commission's request for electronic access to its records. Moeen rejects such allegations saying the authority is bound by its fundamental laws not to share the database electronically with any government institution. The ECP's own decision in June 2006 said the CNIC is not mandatory for registration in the voter's list and shares blame for poor health of the electoral rolls. In an ECP advertisement that appeared in various local newspapers on June 12, 2007, it was clearly mentioned that both the old and the new computerised identity cards were acceptable. Had the Nadra bosses come to terms with the constitution, the Election Commission could have benefited from its rich and authentic database of more than 57 million CNICs while it could only enroll only 51 million voters, not to mention double entries and abuse through old and forged NICs. Except PPP and PML-Q, the Election Commission earned widespread condemnation from all quarters for accepting old NICs for computerised electoral rolls. Constitutionally speaking, the legal citizenship document is an ID card of which the old ones were cancelled by the Ministry of Interior's notification in January 2005. With heightened probability of fake citizens' enrolment in the computerised electoral rolls is increasing, there is little the Election Commission can do to counter the deteriorating quality and credibility of electoral rolls. Chief Election Commissioner of Pakistan Justice (retd) Qazi Muhammad Farooq said in a press statement that the draft computerised electoral rolls are being prepared strictly in accordance with the relevant provisions of law/rules, as available in the Electoral Rolls Act, 1974 and the Electoral Rolls Rules, 1974 which expressly provide that the electoral roll shall contain the number of National Identity Card of each voter. Since the CEC refuses to speak to media, Secretary of Election Commission Kanwar Dilshad rejects all fears of faking up or error-ridden rolls saying that computerised system is good enough to detect any flaws and discrepancies. Dilshad claims that the draft electoral rolls are credible as bogus voters and multiple entries have been deleted in the fresh lists. He says the decision to allow old NICs was based on the fact that Nadra was far behind in registering the country's voters and the commission was left with no other option. As a matter of fact, the identification of fake citizen with similar ethnic background remains an uphill task for the EC staff. Even the UNHCR sponsored registration of the Afghan refugees from the time since they started entering Pakistan in 1979 would not help owing to widespread availability of old NICs which can be printed using a coloured printer and scanner, both easily available in the open market. A source inside the Interior Ministry said, "Even the record left by the Nadra's predecessor registration department contains multiple entries of one person. While scanning through the record after 9/11, we found some individuals possessing 11 to 14 cards with the same name but different locations." A Nadra spokesman told this correspondent some months back, "One, the available record is not complete. Secondly, there were so many forged and fake old NICs issued on the genuine paper that verification would be a Herculean task." Moreover, the authority said, whatever record the registration authority inherited was scanned and some of which is not clear or readable. It goes without saying that the draft electoral rolls are faced with only the problem of under-registration of voters but the fact remains that the list also carries multiple entries of fake voters as well as Afghan nationals. The credibility of the voters list can still be maintained by the Chief Election Commissioner invoking the Article 220 of the Constitution and accessing complete access to Nadra's database. At the same time, the Finance Ministry has been questioning the Nadra's demand for payment from EC against each individual entry on the pretext that the authority cannot engage in such a money-making proposition. "The whole process is beset with some chronic bureaucratic issues as Nadra is working far below its capacity and so are the display centres of the Election Commission," says Rashid Mafzool Zaka, a civil society activist engaged in mobilisation and capacity building for forthcoming elections. He believes that the staff hired by the EC, mostly comprising teachers, is highly under-paid, over-worked and demoralised. "Last but not the least, the role of political parties and local politicians has not been very forthcoming and helpful for the EC in terms of speedy and pro-active voter registration," explains Rashid Zaka. Though the EC is hoping for a miracle ahead of its July 18 deadline for voters' registration, there seems no pragmatic plan to achieve the same. However, getting Nadra onboard by invoking Article 220 of the Constitution would be no less than a miracle for Election Commission. The widespread suspicion remains that Nadra's desires spans more than making a quick buck from the ECP but helping out General Musharraf in his grand design of engineering the elections by denying credible information to the constitutional body. "The clash of right and wrong has been going on since Genesis and it shall always prevail, such as Musa (A.H) and the Pharaoh, Ibrahim (A.H) and Nemesis, Muhammad (P.B.U.H) and Abu Jehal and Hussain (R.A) and Yazeed are those characters of history whose fiery stories have actually made human history more interesting and long lasting. Till existence lasts, men of strength shall keep on coming to this world in order to advocate truth and justice and to defy injustice and affliction. True as that notion is, it is important to add in the same breath that such coward hearts shall keep contaminating the world as well who prefer to live a tainted life for the sake of their vested interests," so wrote Waris Mir in one of his columns titled 'Hussaini Sh'oor Aur Haq-e-Hukmrani' that appeared in Daily Jang in October 1985. Prof. Waris Mir amalgamated historical orientation, international references and national situations in order to talk about issues pertaining to various sectors. These included political chaos in Pakistan, the unacceptable relationship between the polity of a country and the military, ludicrous referenda of presidents holding military badges, rigged elections, sham democracy, suspension of the constitution and the like. "The army intervention in politics does not allow the political and economic setup of a country to get strengthened. The military regimes do allow holding general elections but only handpicked parties can participate and chosen loyalists become a part of the government. Pakistan has reached the very heights of desire to become such an ally of America that even our foreign policy and ideals are peppered with the directives of the US." The words as true today as they were 17 years ago. Waris Mir wrote extensively on a variety of political issues -- the repeated army interventions in Pakistan and the subsequent weak political system, presidential referendum in which half the population refuses to vote and yet General Ziaul Haq gets a 90 percent acceptance ratio, victimisation of the political leadership, attempts to setup a National Security Council, amendments to the unanimously adopted 1973 Constitution that is disfigured to strengthen an individual, etc. Yet these words were written more than 17 years ago. Heart broken by the lack of defence in his professional barracks, Waris Mir wrote about journalists, "As far as Pakistan is concerned, I believe that those with a light in the back of their minds have not really disappeared, they have just dispersed. The need of the hour is not only to find them but also to gather them on a platform from where they can speak out without any fear." Mir believed that "Even if the government of the day tries to stifle expression, there are those dissident voices which, with the help of a sigh or sob make their presence felt and get their message across." Though humble in expression, he could and did 'make his presence felt' but it was not with a sigh or sob that he did so. Bold and accountable to himself, he could not have put his pen to rest until and unless he had poured out his heart and mind -- not for his own satisfaction but to fulfill the responsibility he carried on his shoulders, to act as the voice of the people. The price that Waris Mir paid for speaking the truth was a sacrifice. But it was a sacrifice too dire, too tragic and too painful. Waris Mir saddened many around him on July 9, 1987 as he died of a fatal cardiac arrest at the young age of 48. When one looks at Prof. Waris Mir's stance about democracy and dictatorship, it seems apparent that menaces like extremism and terrorism are the by-products of dictatorship. It is ludicrous to expect an extremist (dictator) to root out another extremist (terrorists). In the words of Prof Waris Mir, "to put an end to the vice of extremism, it is vital to bring an end to dictatorship". Then the Sharif brothers became aware of this large tract, and flattened the building and probably cut it up into corner-plots and things, although I must admit I haven't bothered to check. The point is that the water system was said to be a work of genius, and if the original has been thrown away I wonder what they are going to do. The garden is the focus of many a legend. For instance, it originally had seven terraces, of which only three are left. That is obviously nonsense because there is no trace of the additional four terraces and the three form a complete whole. Besides the three have known names 'Farhat Bakhsh', and two others I can't recall, but there is no mention of more. Even at three terraces it is the work of a very clever man. The garden is built on sloping land so that the terraces descend, and the same water fed all three terraces and hundreds of fountains, then drained off into the river which ran below it some way off. There is mention in the books that to feed the first terrace, Mardan Khan built himself a canal which ran at the high ground, and no trace of the canal is now left. The lovely part is that once the canal disappeared, the legend grew that the Khan was an even greater genius than you thought because he took water from the river and made it flow upwards going from the lowest terrace to the highest! It was easy for people to believe this because the Mughals in their wisdom had taken water even higher. The highest point in the city, before modern times was the Shah Burj of the Lahore Fort which was itself built on the highest area of town. In the middle of the courtyard there is a big, round pool which is rather shallow causing us to believe they used to fill it with rose water, if not actually 'Attar' of roses! But it is obvious that they took water all the way up there. Back in 1974, the time of the 'Islamic Summit' in Lahore they wanted to arrange the final banquet in the 'Sheesh Mahal', and of course they wanted to have some water in the pool; they could think of nothing better than park a whacking big fire truck way below underneath the 'Jharoka-e-Darshan' and pull a huge hose through the 'Naulakha Pavillion' window. They almost flattened the ruddy place! But then we have always been ready to believe such legends about our glorious past. In the eighth century, Baghdad was the brand new capital of the Abbasid caliphs. It was said that there were one thousand public baths in the city. The city, and the public baths had been designed by another of our legendary men of genius, Nizam Ul Mulk, the prime minister of the great Haroon Rashid. The crowning glory of his genius was the public baths of Baghdad because afterwards, when they looked into it, they discovered that all the thousand baths were connected to each other, and the hot water supplied to all of them was heated by a single oil lamp!! Maybe once they have successfully got the Shalimar fountains going, they can start work on the water system of Baghdad! The clerics had also declared that if any operation was done against the mosque they would not be responsible for the consequences. But all these claims came to naught with the televised image of the elderly cleric Maulana Abdul Aziz leaving the madrasa premises wearing a burqa along with a number of other veiled women. In the wee hours of Tuesday morning, curfew was imposed in the G/6 sector Islamabad and amnesty was announced for all students who surrendered voluntarily. In a very clever move the government as an added incentive announced an amount of Rs 5000 to every student who surrendered to the authorities. After only a few hours of the announcement the students started pouring out of the Lal Masjid unarmed, with their arms in the air and mostly shirtless. On Wednesday the deadline announced for the operation was extended a number of times by the authorities in order to facilitate the surrendering students. By 9 pm at night on Wednesday almost 1200 students had surrendered. From their outlook, they hardly resembled the defiant militant face of Taliban. They looked embarrassed, defeated and humiliated, and emerged with bowed heads, hiding their faces from the cameras. As Jamia Hafsa was a girl's exclusive madrasa there were more girl students coming of the building, wearing their trademark black veils but sans the big batons they were so fond of displaying earlier. It was a sad picture watching innocent faces of small girls coming out of the madrasa and rushing into the arms of anxious parents. "I left my daughter here two years ago to get religious education. But I will never leave her again. I hope I find her alive and well," said Muhammad Aslam, a taxi driver from Bara Kaho, a small town on the way to Murree. The tearful Aslam was mad with anxiety about the safety of his 12 year old daughter. The biggest shock was the news of the capture of Maulana Abdul Aziz in an embarrassing guise. Particularly for someone who had been preaching the virtues of martyrdom to thousands of young men, women and children, to leave the madrasa with thousands of people including small children still inside the compound was 'shameful' according to IG Islamabad, Iftikhar Chaudhry. He said they were cautious and alert about the possibility of clerics trying to escape in this way. "We were alert and as soon as the woman constable on security check spotted a burqa clad woman with an unusually large pot belly she raised the alarm," said the IG. It was ridiculous that on the very next day of the operation there was a demand from the madrasa that they had already run out of ration. For a Masjid preparing for a pitched battle with the state, that was too sloppy a preparation. Very few people in history have been given the amount of opportunities the two cleric brothers had for an honourable retreat but they ridiculed each offer. But they ought to have known that the show would not run for ever. If they had played their cards well, they could have retained both the Masjid and madrasa without the baton brigade. Although the government acted with restraint and avoided unnecessary show of force, 26 people had already lost their lives in the first three days. The real question was not the power or the writ of the government which everybody knows is impossible to be challenged -- even in the case of weakest of governments in the smallest of states. The real question is how the government used this issue and the seemingly ludicrous antics of the brothers to the very best of its advantage.The government seemed to have nothing to lose and everything to gain in this game of hide and seek. The Islamabad administration played its cards very well. They deployed the police and rangers in the beginning but showed enormous restraint. They suffered casualties too. But the next day as planned, a whole Brigade of Army from 10 corps was deployed. The presence of the Army, armoured vehicles, big guns and truck loads of jawans created the kind of atmosphere that was conducive for maximum amount of surrenders by showing that the state is all powerful and has to be bowed down to. The political fallout of this operation is that everybody seems to have completely forgotten about the All Parties Conference in London. And for once the CJP case too has been sidelined in terms of media attention. The memory of the unfortunate incident of presentation of 'scandalous material' about the Chief Justice of Pakistan by the government has become a bit blurred if not completely forgotten. All because of the live coverage from the capital's grand Lal Masjid affair. The government may have achieved a success for now but the drama unfolding at Lal Masjid would leave haunting questions in its wake. What would be the fate of students who have left the Jamia Faridia and Lal Masjid. Where would they end up? Would they try to regroup somewhere else in another Masjid? Most important of all, would the government take a policy decision now for the madrasas and the hostels attached with them for prevention of similar incidents in the future? Supported by intensive coverage on private TV channels, the lawyers' protest against the sacking of the chief justice could be termed as the legal community's biggest movement in the country's history. It has mobilised not only the lawyer bodies and non-governmental organisations but also the political workers of the opposition parties who were hitherto inactive. Going on for more than three and a half months, this is the first major protest on the streets during the regime of Gen Pervez Musharraf. Moreover, it has kindled hopes of a democratic revolution in the country. The movement is mainly composed of lawyers, intellectuals, media men and political activists. It has not become a mass movement which it cannot unless it's spearheaded by political parties. The declared agenda is restoration of the chief justice and withdrawal of the charges laid on him, which have been termed ill-intentioned. A disliking for the military's political role in general and Gen Mushararf in particular are at the heart of the agitation. The protest's thrust is on condemning military establishment and General Musharraf's rule. By its very nature, it has little or nothing to offer to the masses except independence of judiciary leading to a rehaul of the judicial system. It's the political parties who are best placed to bring about a systemic change in any polity. In our case, they seem to have now become engaged in the electoral process and the controversy about the new draft electoral lists is a hot issue. The fair and transparent general elections weigh more heavily on the political parties' agenda than the judicial crisis. Some intellectuals are lamenting the news that the Pakistan People's Party leadership is holding talks with Gen Musharraf for a compromise on power-sharing after the next general elections. It is said that by doing so the party will lose its support among the masses. The ground realities, however, may not be at variance with these analyses. Sindh is the major support base of the People's Party. Those who know the political dynamics in the province say that Sindhi voters now seem to be more pragmatic. They want to vote for the party that has a brighter chance to come into power, and enjoys good ties with the establishment. Benazir Bhutto's overt or covert compromise with Gen Musharraf may draw the intelligentsia's criticism, but it could be a vote-puller for her party in rural Sindh. There are many who see an establishment-politicians duo as a winning combination. Similarly, it will help Ms. Bhutto win more votes in Punjab. Here, Ms Bhutto's image of having good relations with the United States will also work to her advantage attracting more and more notables with considerable vote banks on their disposal. Common man seem to be more practical in terms of deciding his political loyalties. He puts his effort where he sees tangible results. Thus, the lawyers' anti-establishment drive, how principled it may sound, has little attraction for the man on the street. The anti-establishment and anti-US stance may sound good in seminars and newspaper columns but these may not be good slogans to get votes. The lawyers' anti-establishment drive may help affirming the civil society's role in national affairs, but it may not put a seal on military's political role. A political movement with wide support from the masses could achieve this objective. This is not visible at the moment. More specifically, it came after the Supreme Court reprimanded government lawyers and barred the entry of all unauthorised people, including intelligence agency personnel, to the Supreme Court and the high courts. They did this after the Supreme Court was presented a file containing what it said was "scandalous material" against the Chief Justice of Pakistan. Amazingly, none of the government lawyers (which included luminaries like Sharifuddin Pirzada) apparently knew of the contents of the file and even the advocate-on-record who filed the material said that he had been instructed to do so by the federal law secretary but for want of time he did not go through the material. A lot will have happened on this front between the time this column is written and published (at least a gap of 3-4 days) so it's pointless to write about the stand-off by itself. However, readers would do well to bear in mind that Lal Masjid is built on government land, and that the current khateeb's father, Maulana Abdullah, who was appointed prayer leader by the federal government also, was a prominent Deobandi cleric thought to be close to and patronised by General Ziaul Haq and many other past top political and military personalities. It's no secret now that the Lal Masjid complex is situated very close to the headquarters of the ISI and that in the past it was routine for at least some officers to offer their prayers at Lal Masjid. Maulana Abdullah, who was assassinated in what was later labelled a sectarian killing, was known for his fiery sermons in which he spoke about the need for jihad -- in those days Afghanistan and Kashmir were the two favourite regions where this could be done. Documentation of the time that he was alive also suggests that many of the maulana's speeches were deemed anti-Shia. Some reports by journalists who have covered such issues in detail suggest that Lal Masjid became a rallying point for extremist and now banned Sunni outfits such as the Sipah-e-Sahaba, Lashkar-e-Jhangvi and Harkatul Mujahideen. In fact, this can also be corroborated by the presence of several members of the banned Jaish-e-Mohammad whom President Musharraf recently publicly said were hiding at the complex. In an interview to an Arabic newspaper some time back, when asked with regard to influence or connections with the government, the current khateeb, Maulana Abdul Aziz said that many students had relatives who were in important government posts and that these relatives, via the students, had told the Lal Masjid administrators (the two brothers Abdul Aziz and Abdul Rashid Ghazi) that what they were doing was right. The latter was once quoted in an online newspaper as having said in an interview -- when asked about charges of terrorism against him and his brother -- that he had told (currently religious affairs) Ejazul Haq then that he had indeed met Osama Bin Laden, Mullah Omar and Dr Ayman Al Zawahiri but only because they had come to Lal Masjid and that since it was a mosque anybody could visit it. He further explained that the fact that he met these fugitives should not be used a proof against him being a terrorist. It was probably not until 2005 that the government's link with Lal Masjid came under strain. This happened when Maulana Abdul Aziz issued a fatwa which said that soldiers of the Pakistan army who died in clashes with militants in FATA were not eligible for a Muslim burial. Hundreds of clerics eventually supported this fatwa and according to the press reports of that time, this was a contributing factor to the withdrawal of the army from the tribal areas. After this fatwa, the khateeb was officially dismissed from his government-appointed post but kept occupying it nonetheless -- as well as the mosque complex. Of course, the government would have the ready excuse that had it tried to evict him the consequences would have been most unpleasant. But then the counter-question to that is -- wouldn't it have been better then, rather than calling in the army now, where around a dozen people, including some completely innocent passersby, lost their lives? Also, how do residents of a mosque and madrasa complex situated in the middle of the federal capital and close to the head quarters of the ISI, and apparently under close watch for many months, manage to build up and store a massive weapons arsenal? Moreover, why did the government not act the moment it knew that several members of the banned extremist outfit Jaish-e-Mohammad were hiding inside the compound? No wonder the cynics -- and there are many out there -- believe that their view depicts the real turn of events. It is quite possible and perhaps even likely that they (the cynics) are dead wrong but the fact that so many people have questions regarding the timing of the operation is an indication of the severely reduced credibility of the present government. Furthermore, the issue of madrasa reforms needs to be addressed with some seriousness by the government if it wishes to prevent further such debacles. That will not be an easy task, given the substandard system of mainstream education (coupled with the free boarding and lodging provided by most madrasas), but at least a sincere start ought to be made -- and not to please any foreign governments but as a worthy end in itself.